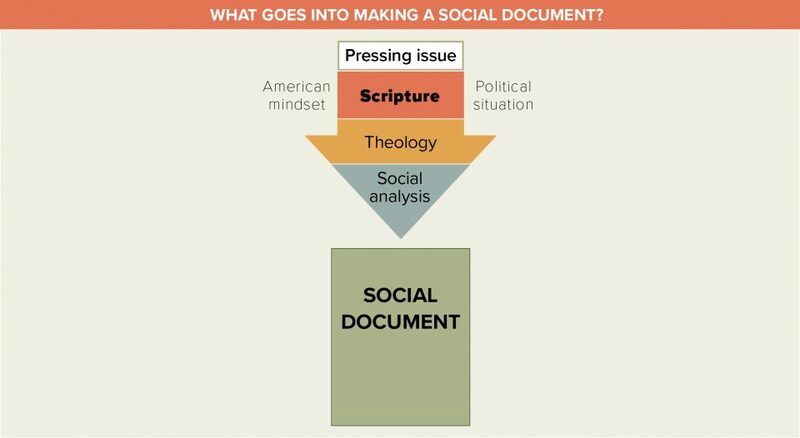 Since 1991 the ELCA has been creating social statements—teaching and policy documents that provide a framework for the church and its members to think, discuss and act on social issues from a perspective that intersects faith and society. “The very first one adopted was ‘Church in Society: A Lutheran Perspective,’ which establishes the affirmations and commitments to guide ELCA participation in society,” said Roger Willer, ELCA director for theological ethics with the Office of the Presiding Bishop. 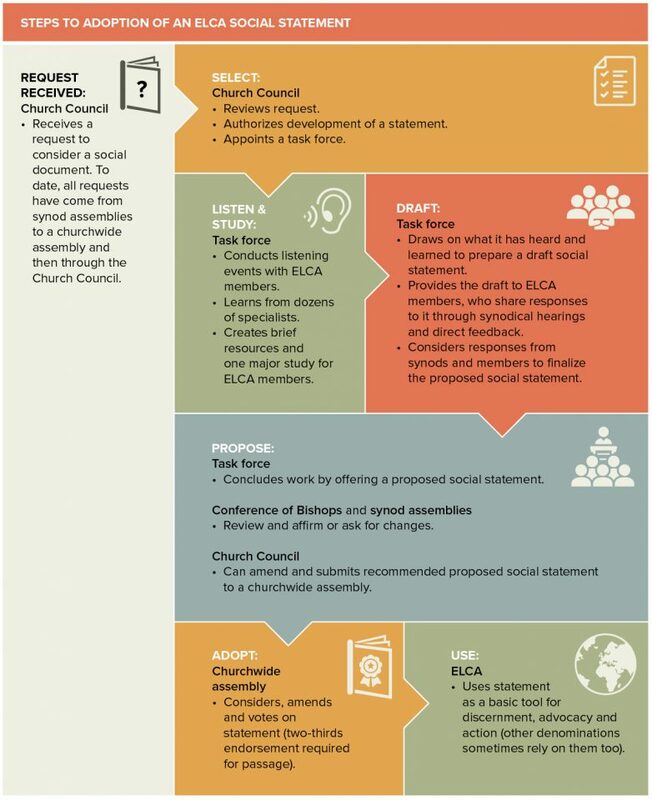 The creation of an ELCA social statement is a thorough and lengthy process that includes participation from across the entire church. For a social statement to ultimately be adopted and put into use, a two-thirds vote from an ELCA churchwide assembly is required. The ELCA is currently in the process of developing a social statement called “Women and Justice: One in Christ,” which is slated to be presented to the 2019 Churchwide Assembly. The social statement is being created by the ELCA Task Force on Women and Justice: One in Christ, which was assembled in 2012 and comprises 19 ELCA members of diverse backgrounds, ages, professions and perspectives. As with every social statement, it’s a task force’s job to study, discuss and draft the proposed document. In November, the task force will publish a draft of the social statement and will then again listen to more feedback through hearings at synod assemblies, clergy events and in congregations. For more information on the “Women and Justice: One in Christ” social statement, go to elca.org/womenandjustice.